A few weeks ago, President Trump approved the largest rollback of federal land protection in our country’s history. 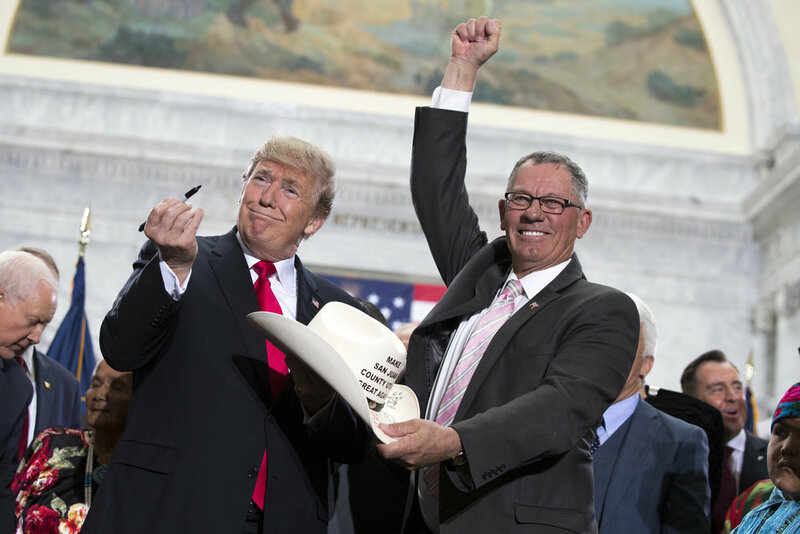 Trump’s announcement to drastically slash the size of two national monuments in Utah - Bears Ears and Grand Staircase-Escalante among additional changes to other national monuments- was not a surprise. But it has indeed been controversial. On this episode, we hear from John Ruple, associate professor of law at the Wallace Stegner Center for Land Resources and the Environment at the University of Utah. He’s also a member of Friends of Cedar Mesa, one of the groups that is suing President Trump over his revisions to Bears Ears. “So there's really a fundamental question here about separation of powers. That's at the heart of this this litigation,” said Ruple. “We're talking about a landscape that has over 100,000 archaeological sites. It's an area that the Congressionally chartered National Trust for Historic Preservation has said, ‘perhaps nowhere in the United States are so many well-preserved cultural resources found within such a striking and relatively undeveloped natural landscape.’ This is a landscape that, in any place else, would have been a national park 50 years ago,” said Ruple. This episode was hosted by Julie Grant. Trump on Earth is produced by The Allegheny Front, a Pittsburgh-based environmental reporting project, and Point Park University's Environmental Journalism program.